J&W Pharmlab LLC is a pharmaceutical R&D service company headquartered in Levittwon PA , specializing in custom synthesis and contract R&D services since 2002. To date we have developed 9,000 specially designed versatile organic intermediates for Discovery chemistry scientists worldwide. 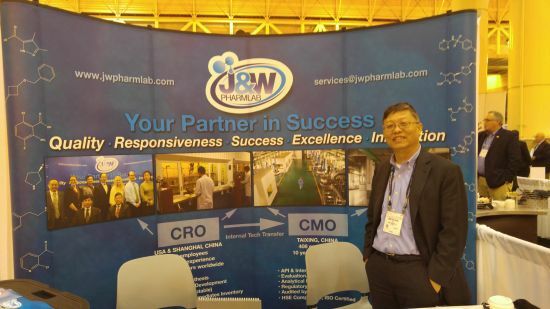 The company is privately owned by Warren Jiang, President, and Jonathan Wang, CEO of J&W Pharmlab. The company headquarters is staffed by research chemists, a customer response team, business development, & sales support personnel. The Levittown operation works in tandem with the J&W Pharmlab R&D and Production Center in Shanghai, China, to ensure responsiveness, high quality, and reliable service to US & International clients. The staff in Shanghai are highly trained chemists, including PHD Group Leaders, to provide high quality service and low cost outsourcing advantageous. To date we have successfully conducted business with 642 companies worldwide, and delivered specially designed research chemicals from Mg. to Kilo quantities in a timely manner, including more complex multi-step synthesis projects.